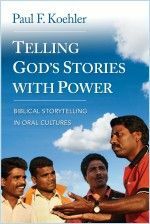 This is a complete and practical introduction to storying, especially for people who want to learn about using biblical storytelling in cross-cultural contexts and who want to train others to become storytellers. It includes many fascinating accounts of the responses of tribal people to the first proclamation of the gospel through storytelling. 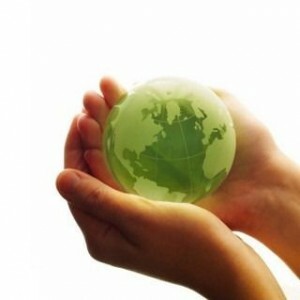 hstewart5 juno com with questions or comments. 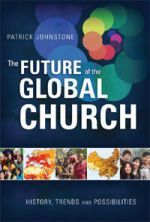 You can gather with other local Christians to hear Patrick, his insights, and his thoughts on the future of the Global Church. 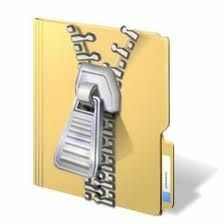 Don’t forget — that attached zip file can be a pesky virus. Just reminding all of us. In general, Fed Ex will *never* send you a delivery notice with an attached zip file. And, for the record, you don’t have to open a single electronic Christmas card this Christmas: I give you permission (because your click on that website could engage a drive-by Trojan from a pesky site). No one will think less of you if you try to follow simple and smart computing protocols: Just say no. The folks who make possible the ministry of Family Circus Children’s Ministry ($25), which feeds the hungry — especially children. This year while ministering the Gospel through drama, they distributed more than 300,000 meals to malnourished children, widows, and needy families. They’re basically just having fun serving the King in Southern Philippines. God bless them! and email the director. She would love to hear from us. They pray, asking the Lord for exactly the right person needed, at least in the beginning. An anonymous who sent $1000 from his post in Central Asia, asking the world to step up and match his gift from the field. 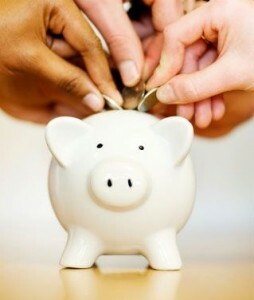 Another anonymous donor who sent $1000, asking Brigada participants to “step up to the plate if you or someone you know has benefited from Brigada” [Wow! Thank you!!!!] He enclosed a note which said, “Thanks so much for the incredible amount of work you put into resourcing all of us out here. I don’t think it’s possible to measure the value I receive from all the information and networking found in the Brigada updates, to say nothing of the people I am able to connect with specific information or opportunities that help them find a way to further use their passion and giftedness for Kingdom purposes. I’m trusting God’s people will step up and a wave of generosity will overwhelm this ministry’s need. And in that I hope you find a sense of affirmation that what you are doing (sometimes late at night :-) ) is making an eternal difference.” Wow. Now I know how Jimmy Stewart felt. Seriously. Thanks for the encouragement! In a broader context, these issues also imply something just as critical: Real men (and women) of God, like David, are still human. They have doubts. They sometimes have questions — even about God’s decisions. But at the same time, like David, real men and women of God keep following Him, in the meantime. For the missionary, this translates into trying to learn what kind of force is needed to move a particular tribe, caste, or kindred closer to acceptance of God’s Good News. For you, it might mean sitting down at the supper table to a deep conversation about “good and evil” with your teenage son. You see, it only takes a quick visit to Wikipedia to find dozens of writers and opinions about these weighty questions. But one thing is certain: If we’re to believe Hebrews 11:1, we know with certainty that faith is having confidence in what we hope for and assurance in what we can’t see. So — at the end of the day, even if I can’t quite figure out the problem of good and evil, I have chosen to believe that there is a solution — and God will reveal it to us, if not before, at least at the end of time. How ’bout you? 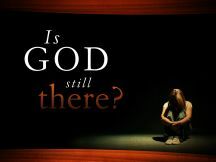 What deep, heart-felt questions are *you* facing regarding God? And which problems, biblical or otherwise, seem to bother you most. Leave your message below in a “Comment” box. Feel free to answer anonymously if you’d like. Who knows; Talking about it among the Brigada community might be just what you need!